A two page spread in my Mead Day Runner. I didn’t gesso these pages, just colored them with Letraset Promarkers, so the dark brown lines are part of the journal pages. The tangling has been done over the past couple of months using various pens. This is the planner I carry in my purse, so I only tangle in it when I’m out and about, and happen to be waiting for some reason. 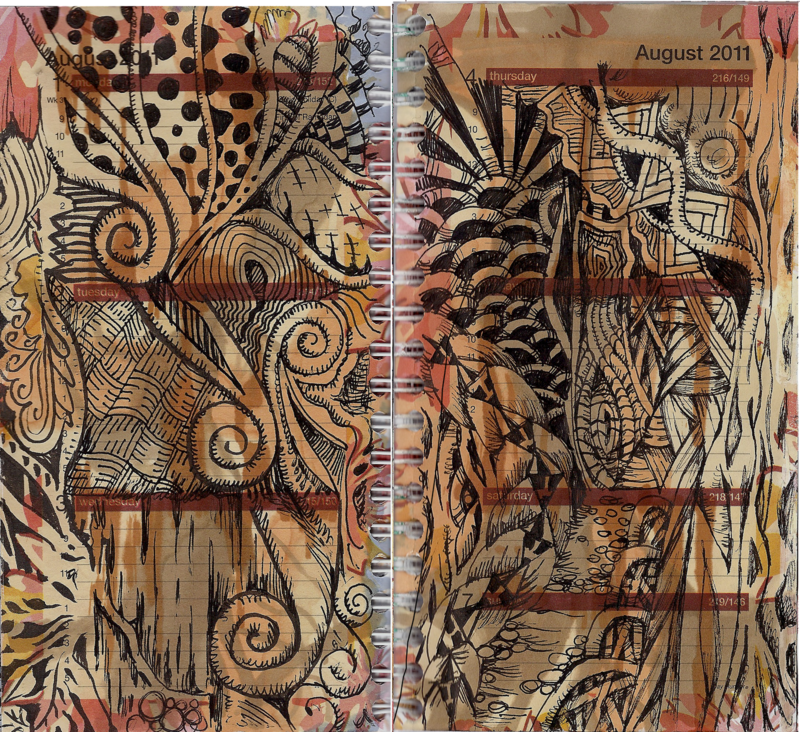 Cool…the lines showing from the planner make it look like a sort of art journaling piece. I've not started tangling in public yet…except at work when it's not busy.